If asked what was the most significant thing to happen to the pop music world circa 2018, I’d have to point (once again) to the continued emergence of women artists in what has traditionally been a sausage party of an industry. For better or worse, rock ‘n’ roll historically has been a boys’ club, with “girl groups” too often treated as offshoots or novelty acts by ignorant fans who can’t get their minds around the fact that what women say in music is as relevant — or more so — than anything men say. Still, if you polled the gazillion acts currently playing, recording and touring the world, you’d find most are populated by people identifying with the male gender. That said, click on the top page of the Album of the Year website — a site that aggregates reviews from all over the internet — and you’ll find women slotted in eight of the top 10 spots of the highest rated albums of the year — Janelle Monae at No. 1, followed by Mitski, Kacey Musgraves, Low (a trio that features Mimi Parker), Cardi B, Robyn, Christine and the Queens and that heartbreaker Ariana Grande (Pusha T came in at No. 6 while English punk act Idles was at No. 8). The same holds true for indie as it does for pop. Over the past couple years, important women artists have dominated the world of college music. Add to the above list Snail Mail, Noname, Sophie, U.S. 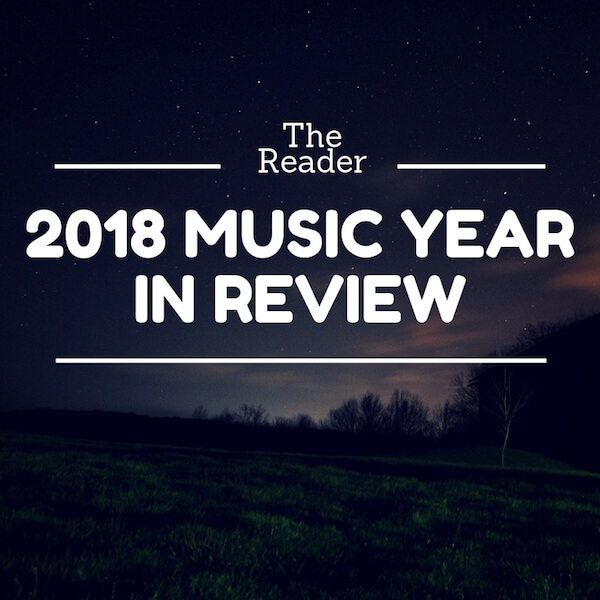 Girls, Julia Holter, Soccer Mommy, Waxahatchee, Natalie Prass, Neko Case, Courtney Barnett, Cat Power and supergroup boygenius, which brought together a trio of indie-rock royalty: Julien Baker, Phoebe Bridgers and Lucy Dacus. Our very own Saddle Creek Records has been riding this much-welcomed trend. The label, which celebrated its 25th anniversary this year, currently is enjoying a well-deserved resurgence, thanks in part to a fresh new roster of artists signed over the past couple years that includes the wildly popular Hop Along (fronted by Frances Quinlan), Stef Chura, Black Belt Eagle Scout (the project of singer/songwriter Katherine Paul), (Sarah Beth) Tomberlin and most successful of all, Big Thief, an act who counts among its primary songwriters Adrianne Lenker, who has seen the rerelease of her solo debut and new album Abysskiss, both on Saddle Creek. Ask Saddle Creek if gender played a roll in their signing decisions, and they’d likely tell you no. In an era when gender fluidity is becoming more recognized, you may ask why it matters. Maybe it doesn’t; it certainly doesn’t to me. Good music is good music. But you’d have to have lived under a stone for the past 50 years to not recognize how overlooked and poorly treated women have been, not only by the music industry but the arts in general. To see women emerge as the dominant voice in music is a long time coming and hopefully will inspire a similar movement in other fields, not least of which is politics. — The annual Maha Music Festival celebrated its 10-year anniversary by expanding to two days — adding an evening rock show headlined by classic indie act TV on the Radio. The expansion resulted in smashing the festival’s attendance numbers by pulling in a two-day audience of just over 14,000 — good enough to repeat the two-day format in 2019. — One Percent Productions, the city’s most important concert promotion company, announced last January that it’s partnering with Kansas City’s Mammoth Productions to build a new indoor/outdoor music venue on South 84th Street. The La Vista City Council approved the measure, which, in addition to a 5,000-capacity outdoor amphitheater, will include a 2,400-capacity music hall. The multi-million dollar complex is slated to open in 2020. It joins both the Ralston and Baxter arenas, which have struggled to make a profit. Can the city support yet another massive venue? — On a smaller scale but no less important (to me, anyway), One Percent purchased The Sydney in Benson, taking over the small club’s operations in August. The Sydney already has hosted indie phenoms Middle Kids, though most of its bookings likely will not be handled by One Percent Productions. — Not to be outdone, the fine folks behind O’Leaver’s (which includes three members of legendary Saddle Creek Records band Cursive) announced in May they’re taking over operations at Winchester Bar & Grill at 7002 Q St. One assumes the acquisition had more to do with the volleyball courts than music, as there hasn’t been any indication they’ll book the kind of quality indie shows historically booked at O’Leaver’s. — In October, the Bemis Center for Contemporary Arts received a $500,000 grant to establish a new sound art and experimental music residency program and named Omaha legacy singer/songwriter Simon Joyner to lead the program that will be housed in the old Bemis Underground space. But a week or so later, The Bemis changed its mind and said Joyner would not be leading the project. The decision came after a wave of concern was raised about Joyner, stemming from his use of “the N-word” in a song he wrote that targeted racists and racism in America, released in 2017. A replacement for Joyner has yet to be named. Finally, for the first time this millennium, music revenue is growing again, according to the Recording Industry Association of America. And while streaming and digital downloads have had the lion’s share of that revenue, vinyl sales hit a 25-year high. Despite this, what in just a few short years had become one of my favorite records stores — Almost Music in the Blackstone District — announced in mid-November that it’s closing its doors in early 2019. In many ways, the closing marks the end of an era that began in the ’90s with The Antiquarium Record Store, a gathering place that spawned the Omaha indie music scene. After Almost Music closes, where will the punks buy their records? Destroyer at The Waiting Room, Feb. 3 — Frontman Dan Bejar was spot on vocally but looked tired and 10 years older than me rather than seven years younger, which he is. Digital Leather at The Sydney, April 6 — Configured as a trio with Shawn Foree in front playing synth and bass, Greg Elsasser on synths and long-time Digital Leather drummer Jeff Lambelet, if the plan was to get the crowd dancing, it worked; maybe the most danceable version of DL yet. Black Rebel Motorcycle Club at The Slowdown, May 18 — They ripped through new stuff and old, including a tasty version of “Beat the Devil’s Tattoo” that had the crowd doing some overhead clapping. La Luz at O’Leaver’s, May 28 —I watched from the sidelines as a band member crowd surfed to the bar, took a shot and disappeared back over the crowd to the stage — been a long time since anyone crowd-surfed at O’Leaver’s. Little Brazil at The Waiting Room, June 1 — Featuring songs off their latest album, Send the Wolves, Little Brazil never sounded better, blasting out material that is as good as anything Desparecidos put out in its waning years. Caroline Rose at Reverb, June 7— Rose performed with a goofy energy, backed by keyboardist/guitarist and a tight rhythm section that looked like they were having as much fun as the audience. 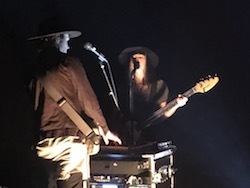 Closeness at Slowdown Jr., Aug. 10 — The duo of Todd and Orenda Fink had a better flow, enhanced by two new songs that were dramatic and danceable, breaking up the monotony of their usual mid-tempo onslaught. Maha Music Festival, Aug. 17-18 — Day 1 was dominated by headliner TV on the Radio, who performed as if they released Dear Science last year. Day 2 was a Weezer concert, but it was Tune Yards, Father John Misty and David Nance who stole the show. Black Belt Eagle Scout at Reverb Lounge, Sept. 26 — Singer/songwriter/guitarist Katherine Paul turned up the guitar, stabbed the pedals and roared on songs that would have made Neil Young proud. 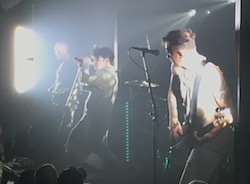 Gary Numan at The Slowdown, Sept. 27 — There were questions as to whether Numan was singing at all. The tale of the tape came 10 songs in when the band performed “Cars,” a faithful arrangement where Numan couldn’t have been lip-synching (could he?). Young Jesus at O’Leavers, Oct. 28 — The high point was the 20-minute set closer, “Gulf,” whose center section consisted of a free jazz improvisational noise collage that bent back into the opening chords. David Nance Group at The Waiting Room, Nov. 13 — Omaha’s most promising band seamlessly transitioned from one song to the next from their new album, Peaced and Slightly Pulverized, with Nance pulling off one feedback wave and blending in a riff that crossed over into whatever was next. Transcendent. Protomartyr/Preoccupations at The Waiting Room, Dec. 7 — Protomartyr frontman Joe Casey did his usual awesome shtick, but Preoccupations was next level. The band came out with guitars blazing before working in synths three songs in, transporting the club into a New Wave arena. Middle Kids at The Sydney, Dec. 8 —Frontwoman Hannah Joy channeled Natalie Merchant while the sold-out audience crowded the stage and sang along to the hits, proving that The Sydney could become Omaha’s next important concert venue.